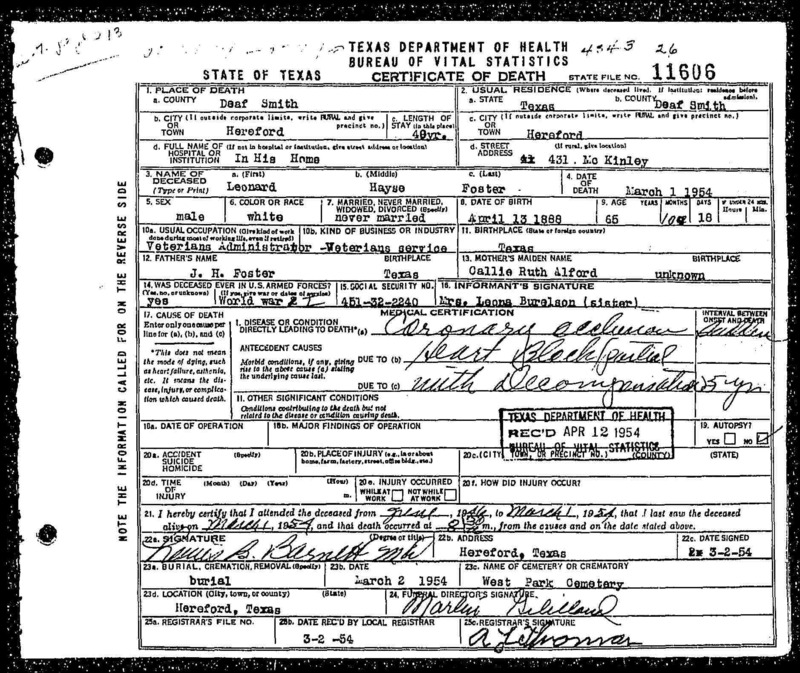 This site is a genealogy and local history website and has been an integral part of The TXGenWeb Project and The USGenWeb Project since 1996. Puede ver el sitio de Deaf Smith Co. TXGenWeb en Española. Welcome. My name is Rob Yoder and in April of 2014 I became the County Coordinator for the Deaf Smith County website in the TXGenWeb Project. This website appears to have been without a permanent coordinator for about a year and has been in the hands of babysitters in the interim. I have been with The TXGenWeb Project for more than 17 years now, connected with Tarrant and Ellis Counties. 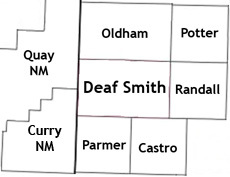 I want to let everyone know that I have no research interest in Deaf Smith County and I live 390 miles away in Fort Worth, Texas. I am sorry, but for those reasons, I will not be of much help with your research. My first objective was to make some repairs to the website and chase down the broken links. Well, I believe that I have now accomplished that. All of the pages, other than those written in Spanish, have been set to the same style as the home page and each link has been checked. The Spanish pages will be too difficult for me to work on. I do not speak Spanish so I will not be able to maintain that portion of the site unless I get some help from some of you. Now is the time for me to begin soliciting materials to place online and grow further through contributions from researchers and visitors to this website. 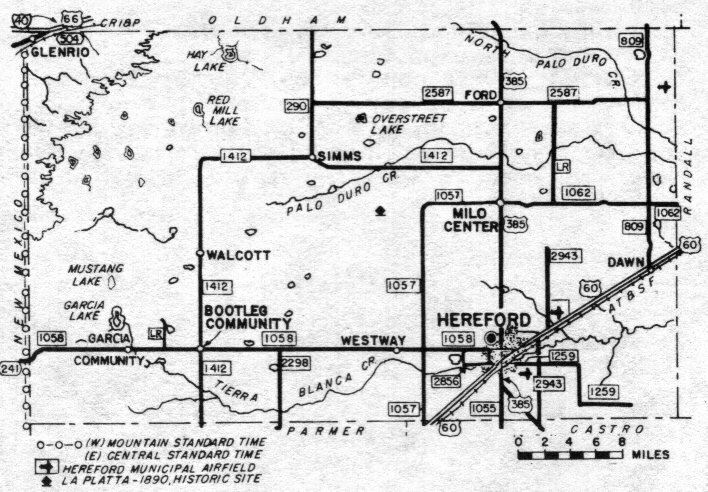 Please share your stories of Deaf Smith County, biographies, photos, short stories, ancestry charts, and what ever else that might be of interest to others. Please let me know if you have something to contribute. 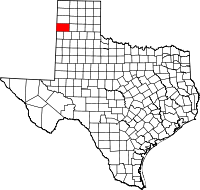 While researching your ancestors in Deaf Smith County, keep in mind that some of them may have crossed the county line by a few feet. I suggest that you visit the following TXGenWeb and NMGenWeb county websites to continue your search. Good Luck! To visit any other county in the TXGenWeb Project, go to the County Selection List or choose the Clickable County Map. Notable People from Deaf Smith Co. Cemeteries of Deaf Smith Co.
History of Deaf Smith Co.
— Where is Erastus "Deaf" Smith buried? If you have a question or comment about the Deaf Smith County website, please contact the County Coordinator listed near the top of this page. If you need to speak with a higher authority or have questions about state related matters, you should contact one of the three ladies listed below. If you are interested in adopting a county in The TXGenWeb Project, please check out the Orphan Counties available and contact: Shirley Cullum, TXGenWeb State Coordinator or one of her Assistant State Coordinators, Jane Keppler or Carla Clifton.